During the scan, the CT equipment takes images from multiple angles across your body so your doctor can see every possible aspect of the area in question. The computer used in conjunction with the equipment pieces all of the information together to create a comprehensive view, which the radiologist will observe as a whole and in slices to accurately understand what is going on in your body. The CT equipment looks like a large donut, and you will lie face-up on a padded table that will move you into the center of this donut-shaped scanner. 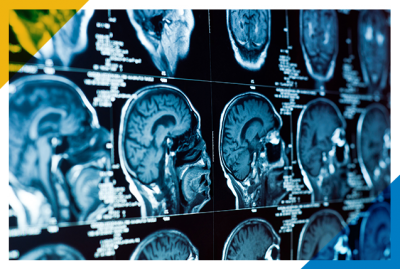 Throughout the entire procedure, your radiologist will be able to watch you and communicate with you through an observation window. 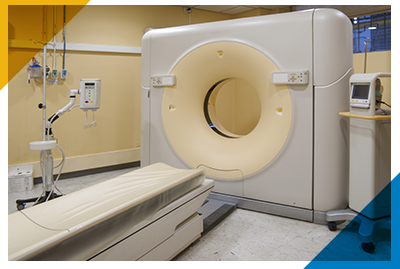 As the CT scanner takes images of you, you will hear noises that may include loud buzzing, humming, or clicking. You must remain absolutely still for the machine to take the clearest photos. The entire exam should only take about 30 minutes, and you will be able to resume your daily activities after it is finished. If you have received a contrast agent, you will need to drink plenty of fluids following the exam to flush the dye out of your system. You may be asked to abstain from food and drink for a period of time before the exam, but this will vary from case to case. Continue your normal medications unless your doctor or radiologist informs you otherwise. In particular, diabetic patients may be asked to suspend their medications until after they eat to avoid any reactions. Always tell your radiologist before the exam if there is a chance that you are pregnant. Schedule Your CT Scan Today! With some exams, a contrast agent or dye may need to be used. By making certain abnormalities easier to see, the contrast agent can make a certain diagnosis more clear. This involves an injection prior to the scan. Although contrast dyes are made from organically bound iodine material and are completely safe, there are some people with sensitivities to medications who may have an allergic reaction. If you have allergies to certain medications or you have reacted poorly to contrast dye in the past, let your radiologist know prior to the exam. 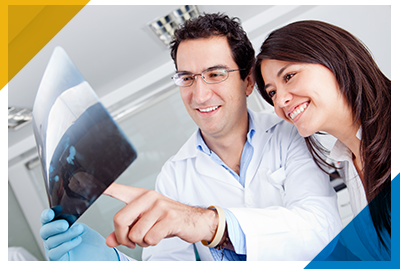 After the exam is over, your radiologist will compile, review, and send your results to your primary care physician. If necessary, he or she may contact your doctor directly following the test regarding your results. You will then meet with your doctor to go over the results. At Lucien Diagnostics, we do our best to provide superior customer care services from start to finish. If you have any questions, we encourage you to schedule a one-on-one consultation with your radiologist either before or after your procedure.